More and more Colleges, Universities, Tech Schools, etc. are seeking out Terra Scholars to pursue degrees at their facilities because they now understand how unique, smart, successful and talented the majority of these children are. The NHSA, at the annual virtual NHSA Expo, will invite those institutions, that have this understanding, to present their opportunities to NHSA members, including any scholarship and other opportunities that they might offer, for which Terra Scholars would be eligible. At the virtual booths with the college recruiters, attendees will find promotional materials about the institutions that are actively seeking applications from Terra Scholars. They will also find information about what requirements those institutions have that specifically relate to homeschoolers. In the meantime, below you will find an initial list of homeschool friendly post-graduate institutions. Members can click on the institutions they're interested in to see more details about their policies relating to homeschoolers. 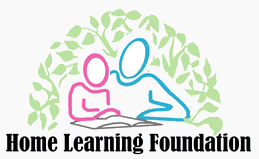 The Home Learning Foundation is in the process of personally contacting every college, university and tech school that they can find to prepare a more complete list, with more comprehensive and up to date data, for its searchable database. As responses are received the database will be updated, so please keep checking back. Furthermore, please Contact Us to let us know of any institution that you are aware of, that is not already listed, that has a particular interest in homeschoolers, so they can be added to the list. You must Log In as a Member to enter the Database.